I think this a form of Seam Agate. I don't know how I did it, but I knocked a big chip off the back while polishing. 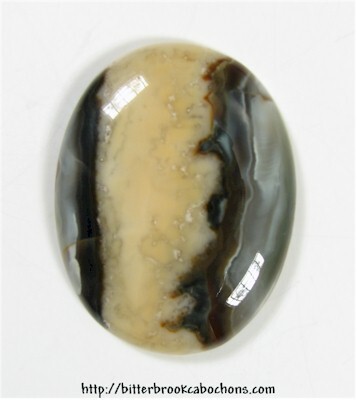 The front of the cabochon, however, is spectacular. 39mm x 30mm x 6mm. Weight: 55.10 carats.